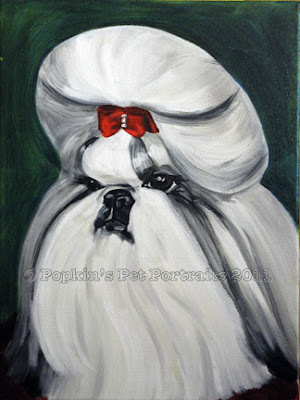 Popkin's Pet Portraits: Christmas in July SALE! Hi all! I'm having a Big Christmas in July sale! 20-40% off everything in my etsy shop PopkinsPortraits. I'm posting lots of completed drawings and paintings that are ready to ship now, but custom portraits are included in the sale. That's right- buy bigger & save more! I have gift cards for you holiday shoppers who are thinking ahead for the holidays. We may be sweating now, but before you know it... snow! Don't wait! When I get overwhelmed the sale will end!